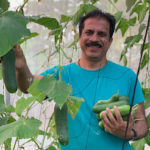 – Porinju Ka Dimaag Aur Biyani Ki Daring Means Apna Time Shuru! Porinju Ka Dimaag Aur Biyani Ki Daring Means Apna Time Shuru! Porinju Veliyath has been repeatedly advising us to tuck into stocks of Kishore Biyani’s Future group. However, as is our wont, we have been studiously ignoring his advice. Porinju first recommended Future Consumer Enterprises Ltd (FCEL) in March 2015, when it was available at the bargain basement price of Rs. 10.50. FCEL | 10.50 – Mgmnt buying consistently! Only company in the group worth researching; clean balance sheet and futuristic business model! “This (Future Consumer Enterprises) is a stock I think was around Rs 14 when we discussed it in August. I have been buying the stock since it was Rs 10 a few months back under PMS. This is the largest holding in our portfolio manamgent and I have bought this stock for the next 10 years which we discussed during August. In an emerging economy like India, lots of structural changes could be happening in some industries, some consumption pattern, the culture changes. That is where investors can make real big money and long-term big multibaggers. I always consider FCEL a company with clean balance sheet and an excellent business model. If you look at the numbers today, the revenue profitability and all is different because this company is just getting built up. It is in that creation mode. It has got a long way to go. Yesterday, they were talking about Rs 20,000 crore of revenue by 2021. Today, Future Consumer stands tall at Rs. 28.60 which means that hefty gains of 172% are on the table in the 24 months that have elapsed since Porinju’s recommendation. Porinju has revealed that he has invested upto 12% of the AUM of Equity Intelligence in the FCEL stock. This implies that he has a massive holding and can call the shots. 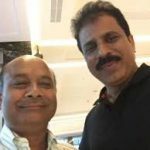 Porinju opined that there is a lot of value in the Future group stocks and that the consolidation period for the organised sector near its end and that these companies stand at an inflection point. “It is a stock for the next ten years,” he said, his voice brimming with confidence. Varinder Bansal, the ace investigative journalist with CNBC TV18, is known for his ability to unearth information and unravel secrets. We have seen a glimpse of his work in the context of the NBFC stocks, note bandi stocks and the holding company stocks. In all three cases, he pieced together valuable information about the stocks and presented them to us in an easy-to-understand format. In the case of the Future group, Varinder has provided details of the activities of the numerous companies, namely, Future Retail (Bharti Retail), Future Lifestyle (fashion brands), Future Consumer (food and FMCG brands, food parks, Nilgiri stores), Future Enterprise (holding company with interests in supply chains, insurance, real estate). He has explained precisely what each company does and what its future potential is. 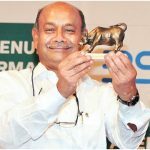 Will Radhakishan Damani’s D’Mart be a “game changer” for retail stocks? 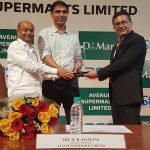 Varinder Bansal pointed out that there is a great deal of hype surrounding the impending IPO of D’Mart, the flagship company of Radhakishan Damani, the legendary investor. He explained that there is already a hefty grey market premium for the D’Mart IPO and opined that this will result in the entire sector being re-rated. Lot of comparison between D-Mart and Future Retail. For me, Future Retail is like Sachin and D-Mart like Kohli. Both good at right price. Kishore Biyani made the stunning announcement that organised retail has gained as a result of demonetization. He pointed out that the Future Group’s sales have increased by 20% immediately after the ban of high value currency notes. “This is because they are organised retail… they are in a position to capture payments on electronic platform which gives them an edge”, he added. S. P. Tulsian complimented Kishore Biyani for the “excellent numbers” and said that he is “highly impressed” with the numbers shown by the company. Stock Axis, a stock advisory firm, has conducted a masterful analysis of Future Retail Ltd. They recommended a buy of the stock on 15th December 2016 on the logic that “Lean balance sheet with enhanced distribution network and increase in efficiency will lead to future growth of the company”. The timing was brilliant because the stock has taken off like a rocket and posted hefty gains of nearly 70% in less than eight weeks. Riding on coat tails of “intelligent fanatic” will lead us to prosperity? 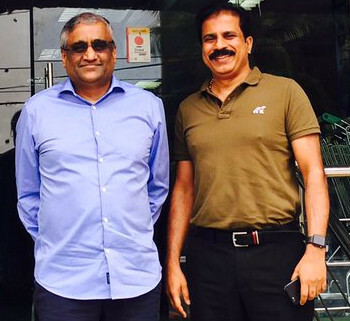 Nobody can dispute the proposition that Kishore Biyani deserves the exalted stature of an “intelligent fanatic” given the level of success that he has single-handed achieved. He has made an enormous fortune for himself and also for everyone else around him. 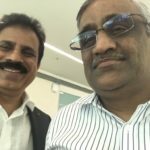 Partnering such a visionary and achiever is likely to auger well for our own financial status as rightly advised by Porinju Veliyath! Is Future Consumer enterprises limited the same as Future Consumer Limited ie Fconsumer on NSE? 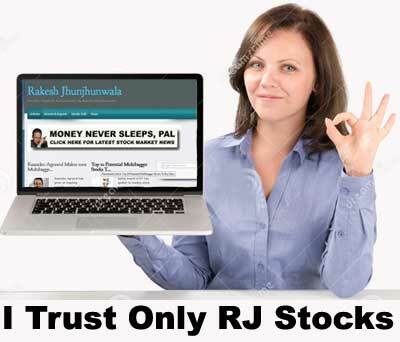 Sir which are the websites to follow for stock market and which twitter acs to follow? Seems to be great future for Biyani’s stocks..
V2Retail appears to be a very good long term bet. Likely to report better and better returns each quarter.